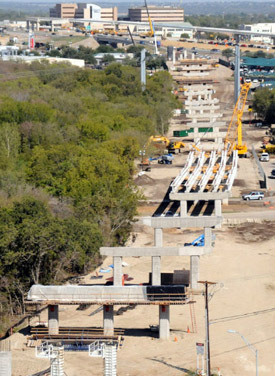 Michael Morris, P.E., Director of Transportation for the North Central Texas Council of Government (MPO), provided this insightful -- and hopeful -- message in the latest issue of the NCTCOG's Mobility Matters publication. As the transportation organization responsible for the future of mobility and reliability in a region of 11 million people over the next 25 years, it is sometimes important for the North Central Texas Council of Governments to stop and take a pulse of where we currently find ourselves. 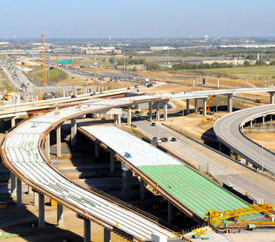 We are at a major crossroad, or “fork.” The Dallas-Fort Worth Region has led the mobility revolution in the US over the past 20 years with multimodal financially innovative transportation projects. Now, we have a federal government that wants to put this partnership in a 3-D printer and go nationwide and a state government that has adopted a more cautious pay-as-you-go approach. Yet, innovation continues, led primarily by regions such as North Texas. Local leaders recognize a need and work collaboratively with State and federal officials to develop multimodal innovative solutions. The thoughts of a previous logistics executive may be instructive as we navigate the current realities of transportation planning. 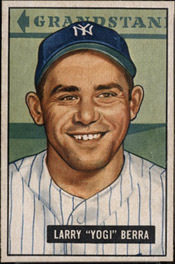 Yogi Berra, who lived 90 great years before passing away in 2015, won 10 World Series titles and was an 18-time all-star while a member of the New York Yankees. Those fortunate enough to watch Berra play during his big league career remember him as one of the best catchers of all time. Since he retired in 1965, most of us recall only his witty sayings. What we can learn from him today? When you come to a “fork” in the road, take it. When dealing with transportation issues, officials at the different levels of government do their best to represent the interests of the people they serve while maintaining an eye on the future. It’s a tough job, full of competing interests and just as many different priorities. In the end, we are stronger when we all work toward a common goal. In our case, the goal is moving people safely and efficiently through a region whose residents and businesses want solutions to transportation challenges, yesterday. We have a tremendous opportunity to take advantage of the different perspectives of officials at each level of government to carve out a new path toward even greater prosperity. This is not the only famous musing of Yogi’s that can be applied to transportation in the 21st century. The transportation projects we are building today are intended to serve the region for generations. But you don’t spend millions of dollars on a roadway, rail or bike-pedestrian project and just move on. Each investment will require continued maintenance and monitoring to ensure it remains efficient. 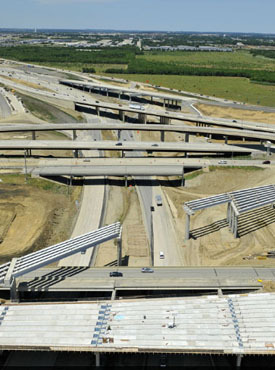 It is not sufficient to simply build an interchange to help people drive from State Highway 360 to Interstate Highway 30 (and vice versa) and move on to the next project. It will become part of the system and must continue to operate efficiently. The cynic might tie this one to development of transportation projects, reasoning that the construction equipment, orange barrels and concrete barriers will disappear from one location, only to appear elsewhere in the region. As an optimist, I see these things as temporary hurdles we must clear in order to build the transportation system that will help our children and grandchildren excel in the economy of tomorrow. At NCTCOG, we approach our efforts to improve air quality in the same way. Federal standards continue to become stronger as the connection between ozone and health becomes clearer. We have a slew of programs helping us achieve cleaner air for all. Population is soaring across the region, aided by the health of our existing industries and the relocation of corporate giants. A true multimodal approach will help the region serve existing residents while making new businesses feel welcome. We should continue to expand all modes, providing transit to more jobs while improving “last-mile” connections with bike-pedestrian facilities and even autonomous shuttles, similar to the vehicles being tested in the Arlington Entertainment District. Our focus as a transportation planning agency needs to be on ensuring these people and employers can rely on our “systems” to accomplish their goals. We do this by working with our federal, State and local partners to build projects that maximize our time and provide options for active, healthy lifestyles. The use of traffic management centers and traffic data will improve efficiency in the busy corridors and ensure our multibillion-dollar projects continue to serve the region. It’s better. The technology in your phone is being harnessed by transportation agencies and automakers to prepare for a future with more predictable travel patterns. Our HOV lanes are being transformed into fully managed TEXpress Lanes, offering drivers the option of paying in exchange for better reliability. Additionally, our automated vehicle program is exploring how we can use data to help vehicles move people and goods more efficiently.